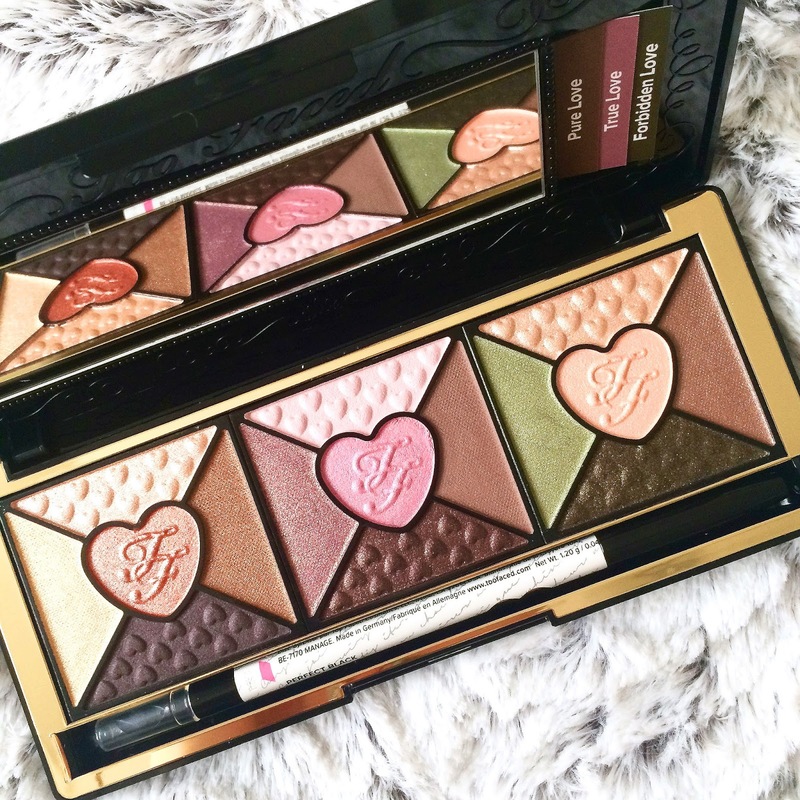 Ever since I posted about my adoration for the Too Faced 'Love' palette back around Christmas time, I have been promising to recreate several eye makeup looks using the array of colours that it consists of. Every shade is so wearable and the palette is broken up into 3 different 'looks', with a daytime and nighttime version of each. I knew from the beginning that 'Pure Love' was likely to be my favourite of the 3 looks that I was recreating. 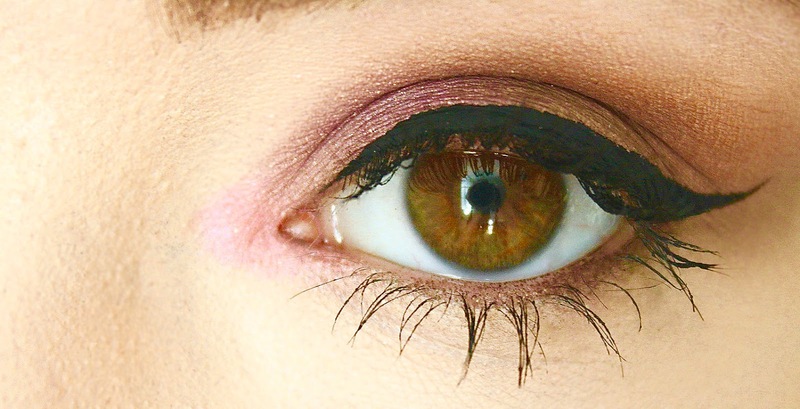 I always prefer to wear warmer-toned eyeshadows, mostly in copper/brown/golden shades. The first section of the palette is split up into the following shades: Dearest (gold metallic), Cherish (peach metallic), Adore (bronze metallic), Desire (light matte chocolate brown) and Amorous (dark matte chocolate brown). Both of the looks for Pure Love, the day & nighttime versions, tend to follow the same colour scheme; both looks use Cherish for the base, Desire for the crease and Amorous for the line. The day look uses Dearest for the lid whereas the night look amps up the colour with Adore for the lid. I personally think that both looks are daytime-appropriate and I would be comfortable wearing either look. If I were to recreate this look, which I no doubt will, I would probably only change the colour I used for the line and perhaps stick to just Adore for the whole of my lower lash line as I found there was quite a lot of colour fallout from Amorous and I needed to really work back in with my concealer to tidy up my skin afterwards. 'True Love' was my least favourite look out of the 3 that I tried. Regardless of whether or not I have tanned, I find that pink-toned eyeshadows just do not suit me, no matter what other colours I use to try to compliment them. Both the day & nighttime looks again for True Love followed similar colour schemes. I created the above look with the following, as per the guide provided: Smitten for my base (matte pale pink), Passion for my lid (mid-toned metallic purple), Romance for my crease (matte grey-toned brown), Obsessed for my line (dark mauve/purple metallic) and Sweetie Pie for my inner corner (metallic candy pink). For the day version, the guide recommends using Smitten for a base, Sweetie Pie for the lid, Romance for the crease and Obsessed for the line. Like with the first look, I found that there was a lot of colour fallout with the darkest shade and I would choose to skip this step if I were to recreate it. I sadly found that this look just made my eye lids appear bruised. Although this look did not flatter me, on other skin tones, I'm sure it would look lovely. Finally, the last look I recreated was 'Forbidden Love'. This look really took me back to my teenage makeup as it was rare for me to ever leave the house without green eyeshadow covering my eyelids back in school. As much as I do look back and cringe at my old 'learning curves' when I dabbled in makeup at a younger age, I must admit, I really liked this look. I found the mix of green and brown tones very complimentary against my eye/hair colour much to my surprise. The day and nighttime looks for Forbidden Love are surprisingly different. 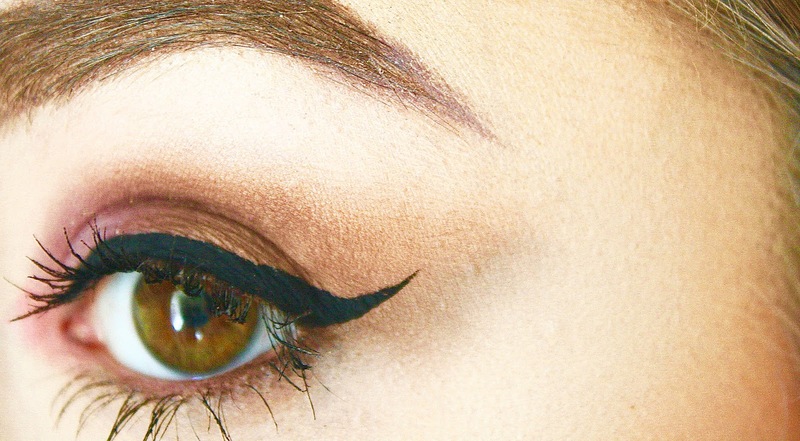 The nighttime look uses the green and brown tones, whereas the daytime look focusses more on the golden/brown tones. For the above look I used: Devotion for my base (metallic pale peach - just a little paler/more cool-toned than Cherish from my first look), Darling for my lid (metallic green), Puppy Love for my crease (metallic pale brown) and Everlasting for my line (a dark metallic browny/black shade with hints of golden/green glitter). In the daytime look, instead of Darling for the lid, XOXO is used which is a matte peach shade. Sadly Everlasting gave me the most fallout of any of the colours used to recreate the 3 looks and I wouldn't choose to use this colour again. What is your favourite look out of the 3 I tried? Do you have a favourite Too Faced product? - if you do, please leave your recommendations for me. I don't own any Too Faced products I really want to try some out as I've heard so many great things about the products and not only that they always look so beautiful and the packaging is so cute. I'd really like to try out the new peach palette, although when I went to buy it, it had already sold out but they had a sample one in store and it really did smell like peaches and the shades in the palette are really pretty so I really want to get hold of it but I imagine it will be really popular throughout the whole of this month making it hard to get my hands on.